Precisely who is fighting in Ukraine depends upon whom you ask. When Russian Dictator Vladimir Putin speaks to non-Russians, he claims the Russian-speaking Ukrainian rebels are valiantly fighting to save Russian-speaking orphans, Jews, and senior citizens from the vicious onslaught of the Ukrainian government. 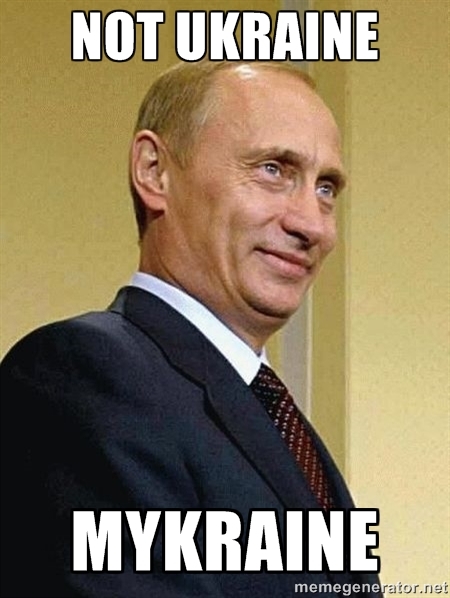 When Putin speaks at home, he says the Jews are plotting with Americans to overthrow Ukraine. The Ukrainian government, along with most of the rest of the planet, takes a different view. According to Kiev, the violence in eastern Ukraine is instigated by, funded by, and in part fought by Russian security forces. from Agencia Brasil, wikimedia commons. From Putin’s office in Moscow, the Russian invasion must seem like a great idea. His entire campaign platform—for the next campaign, last campaign, or any campaign—is his vision of returning Russia to the former glory that, in his view, it enjoyed during the Soviet era. Many Russians don’t have the same memory of enjoying that glory, or much of anything else during that time. Unfortunately, their memories and opinions no longer count for much since Putin has consolidated his power as a New Age Stalin. A year ago, NATO-aligned nations warned Putin that the costs to Russia for invading Ukraine would far outweigh any nationalist glory that he might obtain. In response, Putin confidently explained to Western journalists that Europe would suffer more than Russia would from any Western-imposed economic sanctions. At that time and to this day, Putin is denying that any such invasion has taken place, or that the economic sanctions are hurting Russia. They are. Since the invasion of Ukraine, Russia’s currency and its stock market have plummeted, and energy prices have dropped like a rock. Between that and the damaging economic sanctions that Putin had so confidently laughed off, the economic outlook for Russia is much less favorable today than it was a year ago. Given Putin’s plans for increased military spending, the Russian taxpayers can expect decreased standards of living, accompanied by decreased civil rights. Image by Gorgo, wikimedia commons. For the most part, we in the West have measured the consequences of Putin’s folly in Ukraine in terms of damage to his economy, but there are deeper and less obvious consequences that will affect Russia for decades to come. 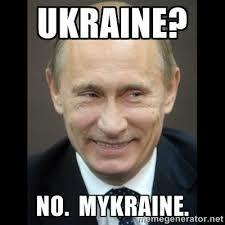 For starters, Putin grossly overstated his support at home for the Russian invasion of Ukraine. The lack of real democracy in Russia means that Putin can pretend to ignore the unpopularity of his Ukrainian adventure, but even for a skillful, self- promoting dictator, there are limits to his power. I don’t know what those limits are. Unfortunately for Putin, he doesn’t know either. He would not like to discover them, as his increasing ruthlessness could mean that if he is toppled, he could end up with a retirement plan similar to that of his old pal Colonel Gaddafi in Libya. Another price Russia is paying is that a substantial percentage of its young professionals are immigrating to the West in the wake of Russians allowing Putin to install himself as a modern czar. That brain drain is hurting Russia. In fact, if so many Russian engineers and scientists had not left their country during the last fifteen years, Russia might not have needed to pay France to build new amphibious assault carriers for them. And now, with the sanctions, Russia doesn’t get the carriers from France. Putin wants desperately to modernize and enlarge his military, but that modernization depends on Russian engineering and scientific capacity, which has has been badly damaged by the intellectual exodus resulting from his repressive policies at home. Russia is also paying in the form of deteriorating relations with Scandinavian countries. Last week, Sweden suggested to its partners in the Nordic Defense Cooperation that they do two things. First, that they raise the status of cooperation from the current minimal form by establishing an actual Nordic standing task force to deal with growing aggression from Russia. Second, that deeper military coordination and cooperation be extended beyond Iceland, Norway, Sweden, Finland, and Denmark to include Lithuania, Latvia, and Estonia. Image by S. Solberg J., wikimedia commons. The bad news for Russia is that it didn’t take more than a few hours for the Nordic members to enthusiastically agree to Sweden’s suggestions. But that’s not all. Sweden has suggested that the combined force that they create should be available to integrate in NATO operations. So in effect, Putin has achieved what Western diplomats could not achieve with half a century of their best efforts–he has managed to get Sweden to join a Western alliance against Russia. These developments are all consequences of Putin’s adventurism in the Ukraine, and they are all precisely the sorts of developments that Putin was hoping to avoid. In an alternative scenario, Putin would be capable of seeing beyond 1986. It is a view that would leave Russia without enemies in Europe. It would be a country where the aspirations of so many of its brightest young people would not include relocation to London or Paris. In that alternative paradigm, Russia could pick up a phone and ask Sweden if it could send a submarine to Swedish waters, and Sweden would say “yes,” because Russia would be a modern nation with a modern foreign policy and friendly relations with its neighbors. That Russia would experience a better standard of living, greater scientific and cultural achievements, and far better national security. The NATO nations would be happier for it and would enjoy all the advantages of real cooperation between Russia and the West. But that’s the alternative paradigm and a view that Vladimir Putin will not entertain, because such a view would place the interests of the Russian people above his own desire for absolute political power. The scope of Russia’s lost opportunities is spectacular to behold, but until new leadership arrives, Putin’s dingy Stalinist Cold War reality is all that we can expect for that country and its unfortunate neighbors. Proof that you can take the boy out of the Cold War, but you can’t always take the Cold War out of the boy. As you argue so strongly and well, Russia could, indeed, benefit from a change of leadership – provided isn’t a mis-managed and myopic ‘Russian Spring’. Hi Writegill. You are quite right. There is no guarantee that “change” in Russia would automatically equate with “improvement” from the point of view of the average Russian or for Russia’s neighbors. Your analyses of events such as this are always a breath of fresh air – and truth – in the midst of the managed news reported by the media in general. Thanks, Jay. Hi David. Thank your for your high praise.